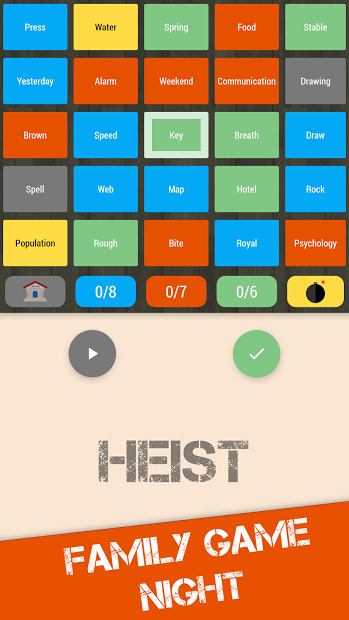 Heist is a board game for your living room, in which you have to team up and compete to see who’s better, Cops, Robbers, or Bankers. In Heist, two or three teams compete to reveal their teams cards first. 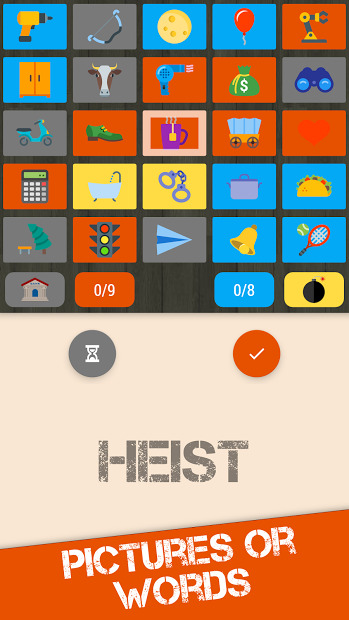 The Chromecast is the Game Board and the Captain provides a single word hint and how many cards that hint relates to on the Game Board. Teams then use the hint to uncover their cards before the other teams. Make sure you avoid other teams cards and bombs or you may lose! Using your phone or tablet, start the game and connect to a Chromecast. Choose how many teams and bombs to play with and start having a blast. Note: This app is a free version of the game. Once you played it a few times, it will ask you to buy the pro version.